I love everything about this new collection. First off this photo shoot by Trevor King is epic! 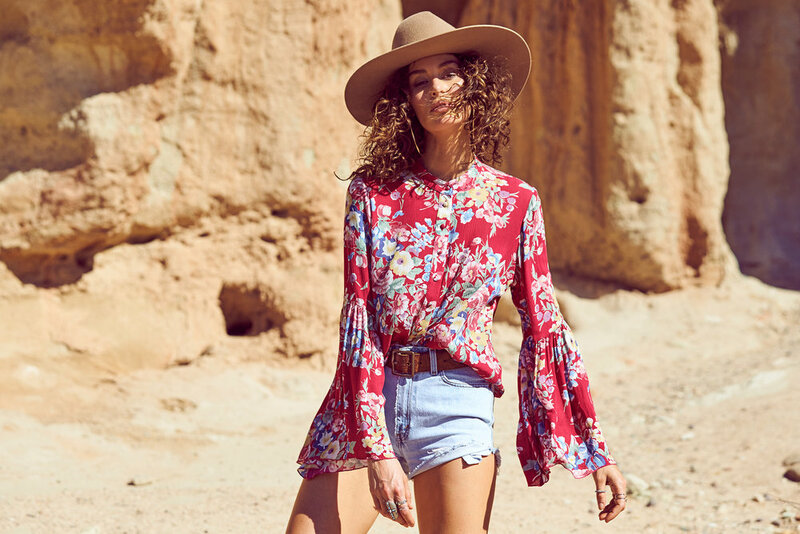 Boho-chic does not seem to go out of fashion, and if this new collection is anything to go by it doesn't look like it’s going to anytime soon - and why should it? With it’s easy laid back vibe, flowy florals, and instant comfort it’s a key summer staple to have in your wardrobe. I’m obsessing over the pairing of earth-toned boots with the print maxi dress, the adding of subtle accessories like a small choker is usually unheard of in boho looks as they tend to go big with vintage inspired jewelry. 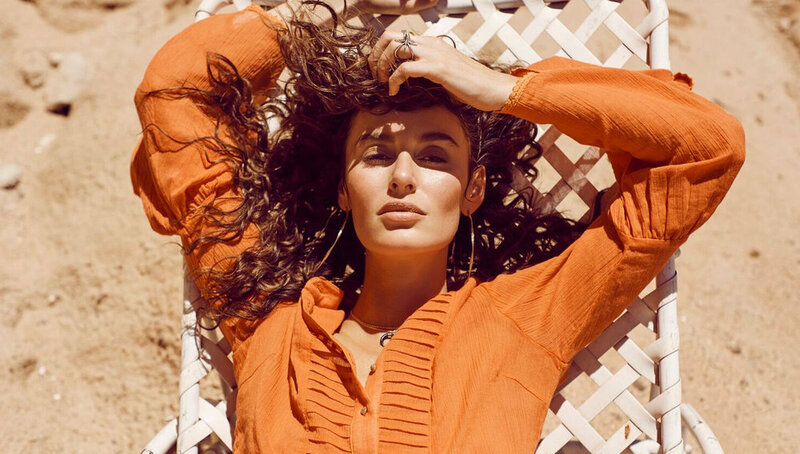 However, I’m digging the less is more look which has been done well by stylist Jesse Arifien in this shoot, adding a pair of gold hoop earrings where necessary. When it comes to hair, natural is better, which is exactly why I am infatuated with model Nicole Trunfio’s look! The wild waves are stunning. Hair and Makeup by Brendan Robertson is on point and definitely completes this look. The clothing is perfect for anyone to wear. You can go from day to night in the ‘Strappy Muse Maxi’ or head down to the beach in the ‘Beach house Strappy Mini Dress’. You name it this collection has it!